Translate twenty-one languages and receive premium service. LECs multilingual products make it easy, fast, and economical. No need to go through repeated installations of single-language products. Simply click to change your source and target languages quickly and easily, or use our automatic language identification feature to identify the source language. Translate is available in Personal, Business and Pro versions. Personal overview: the entry-level version of our powerful family of desktop software. You get quick, easy translation of documents, websites, blogs, emails, chat, and instant messages (IM). Business overview: gives you all the powerful features of Translate Personal, plus key business features. Translate directly in Word and other Office documents, get a specialized business dictionary, and longer free subscriptions to online translation. Pro overview: the ultimate step up in power and flexibility. Translate multiple documents with one click, access dozens of industry-specific dictionaries, create new dictionaries, translate the widest range of file formats, and get the longest free subscriptions to online translation. includes Chinese (Simplified and Traditional), Dutch, English, French, German, Hebrew, Italian, Japanese, Korean, Polish, Portuguese, Spanish, Russian, Ukrainian. Learn more: Magellan Personal, Magellan Business, Magellan Pro. 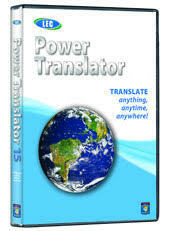 Power Translator offers multilingual translation at an economical price. includes English, French, German, Italian, Portuguese, Russian, Spanish. Basic features. includes English, French, German, Italian, Portuguese, Russian, Spanish. Advanced features. Windows 7, Windows 8, Windows 10, Windows Vista and the Windows logo are trademarks or registered trademarks of Microsoft Corporation in the United States and/or other countries.